Malih bin Abdullah (R.A) narrates that Nabi Sallallahu alaihi wassallam said, "Five things are from amongst the practices of the Ambiya (A.S): modesty, perseverance, Nikah, Miswaak and applying Fragrance." There are many Ahadeeth regarding Nabi Sallallahu alaihi wassallam’s fondness for ‘itr,’ especially that of Musk, Oudh and Amber. The science and art of fragrance making and blending, dates back to Sayiddina Suleman (A.S) as Allah Ta’ala granted him the ability to converse with flora and fauna. Allah placed great healing properties in plants and flowers and these creations of Allah informed Suleman (A.S) of the myriad of medicinal benefits contained therein and accordingly he extracted the oils and resins and produced Attar. 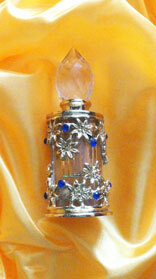 Oudh or Dahnul Oudh is regarded as The King of Fragrance and rightfully so. Oudh is extremely rare and costly because of its origins. Oudh is a resin that originates from the Aquilaria tree found in the South Asian regions or more specifically: Cambodia, Vietnam, Laos, Assam and Burma. The tree has to be at least 50 years old before a fungus attacks it. As a natural response to counteract this infection, the Aquilaria tree produces the resin known as Oudh, thus preventing a total decay of the tree. 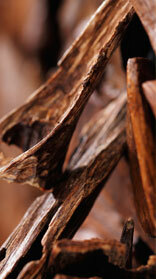 Once the Oudh is produced within the core of the bark, skilled collectors remove these Oudh rich barks for distillation. On average, it takes a kilo of Oudh sticks to yield approximately 3ml of Oudh oil.